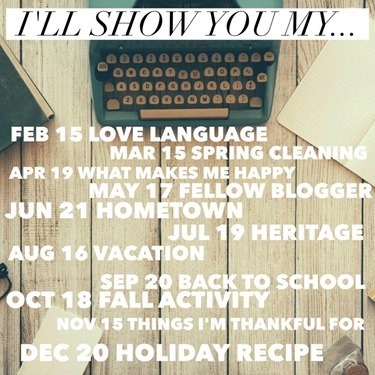 This month’s topic for the “I’ll Show You My…” Link Up is “fellow blogger.” So in order to participate, I sent a list of questions to a blogger I admire, Tif from Bright On A Budget. Tif is a style and beauty blogger from Lexington Kentucky who always has beautiful and affordable fashion to share. She is a kind and generous person and was willing to help me with increasing my Instagram reach, which I really appreciated. Plus she was willing to answer these questions for me! Thanks Tif! Can you tell my readers about yourself and your blog? My name is Tif and I write a fashion and beauty blog called Bright on a Budget. It’s an affordable fashion and beauty blog that’s dedicated to showing the everyday woman how to put together outfits in a chic but wearable way. I’ve been blogging for a little over three years. I also work full-time as an attorney, and I’m mom to an almost-four year old. I’m married to my high school sweetheart and we’re based in Lexington, Kentucky (GO CATS!). You can read a little more about me here. How did you first get into blogging? What inspired you to start your blog? My hubby told me I needed a hobby besides reading trashy romance novels. I’d enjoyed reading blogs for a couple of years, and had always enjoyed sharing my bargain deals with people. So the blog was born. If you’re thinking about starting a blog, check out this post for my comprehensive tips for how to start a blog. What social network has been the best help in enhancing your traffic to your blog? Hmm. I get a lot of traffic through Facebook, but I definitely think that Instagram has been a HUGE springboard for me. You can follow along at www.instagram.com/brightonabudget. What do you think your blog provides to your readers? I think my blog provides a way for readers to step outside their comfort zone when it comes to wearing the same old thing. My blog helps readers to remix their closets and think of new ways to style old pieces. Check out some of my outfits that I’ve put together here. This is a hard one. While I try to be efficient as possible, it doesn’t always work. I think a lot of it comes down to trial and error, and figuring out what works best for your schedule. A lot of times, I’ll do half of a blog post in the evening and stop so I can spend time with family, then get up and write the rest of the post in the morning before work. Link parties are great for exposure to other bloggers and readers. I co-host the High Five for Friday linkup (come join us on Friday! ), but I actually started participating in the linkup way before we took over co-hosting. I’ve meet some of my best blogging buddies through the linkup, and continue to forge new friendships through the various linkups I participate in. While I don’t have as much time for commenting now, I think commenting on others blogs is a great way to introduce yourself to potential readers and make connections with other bloggers. Oh, that’s hard. Being a mom is amazing. But I also graduated from law school, which was a long 3 years. You can read about why I went to law school here. What do you do aside from blogging? I work full-time as an attorney. I work in-house for a family of related companies, so my job isn’t your traditional firm job. What do you find the most frustrating aspect of blogging? While I always want to improve and do better, I hate the cutthroat approach that some people take. Why can’t we all just come together and support each other? What is your best blogging advice to others? Stay true to yourself and don’t forget we’re all in this together. The people that I meet! I’ve made so many amazing friends from all over through blogging. I know someone in almost every city I travel to, and always try to meet-up with someone. Blogging makes this big world seem just a little bit small. Can you see why I admire Tif? If you don’t already follow her, you should definitely check out her blog! 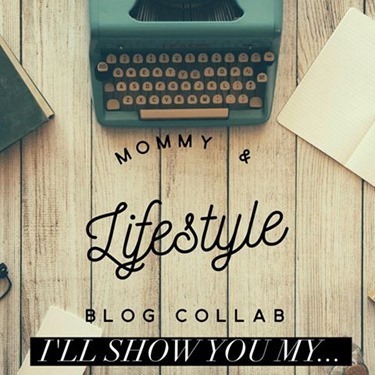 If you wrote a post about your fellow blogger, link it up here!